Update: The creator of this application has responded to this post, so now we are in contact. Thank you! See comments below. I’m the creator (but not the seller) of this App, you can see that my witizen’s username and my google’s username is the same. 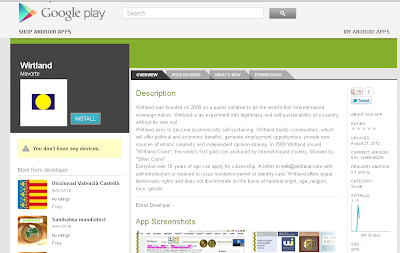 As a recent witizen I want to contribute with this interesting project making an App in order to make Wirtland accesible through smartphones, opening a new window to this nation (it’s like if I’d make an App promoting Spain, my country). I don’t seek profit with it (you can see that this App is free and never will cost anything) but if there is any inconvenience I have no problem to delete it. Thank you. 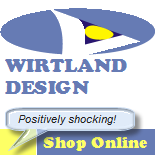 As I said, Wirtland has nothing against use of our images and content. You are right – this is exacty similar to promoting Spain or other country. Recently we emailed you at the address of your application. 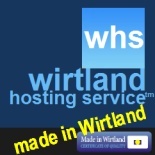 I hope we will continue to comminicate and cooperate in promotion of Wirtland.